Founded in 1875, Poterie Digoin originated as a family business in the northern Loire valley, quickly establishing itself as the heart of the French kitchen. Each piece of Digoin stoneware and earthenware is hand-shaped and glazed by artisans, bringing a bit of tradition into the modern home. 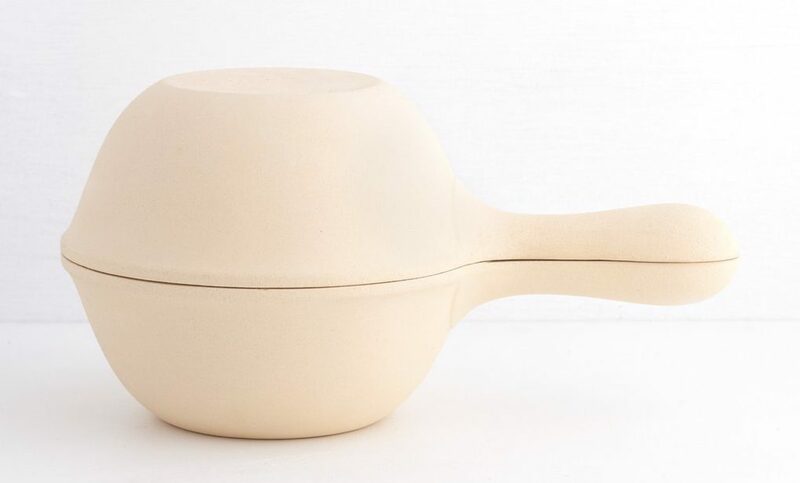 Here is a guide to some of our favorite stoneware pieces from Digoin, with tips from writer, cook, and teacher Paula Wolfert’s Mediterranean Clay Pot Cooking. The word “gratin” literally means “scratch” or “scrape.” In French family-style farmhouse cooking, dishes were assembled at home in these earthenware vessels and carried to a communal wood-burning bread oven. Spinach, chard, eggplant, zucchini, leeks, and potatoes are some of the centerpieces of these dishes. To add flavor and form a good top crust, herbs, oil, butter, cream, bread crumbs, and cheese are often added. Additional ingredients might include eggs, meat, poultry, salt cod, or anchovies. On the sweet side, the depth of these glazed vessels is well-suited to baking fruit cobblers and crisps to highlight fruit at the peak of flavor. 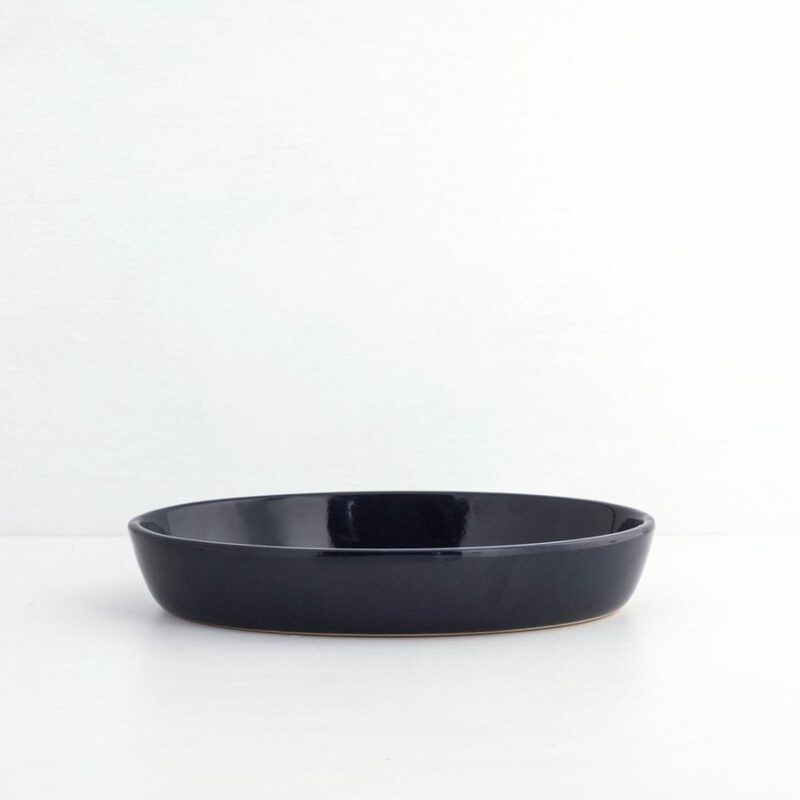 More oval in shape and slightly shallower than gratins, tians are perfect vessels for showcasing ripe summer vegetables. For a simple but satisfying dish, assemble layers of small heirloom tomatoes, sweet bulb onions, thin skinned eggplant, and fresh salty cheese such as ricotta or chévre for baking. Wolfert suggests preparing this tian in the morning and serving it no sooner than 6 hours after it has emerged from the oven, at room temperature, to allow flavors to meld. 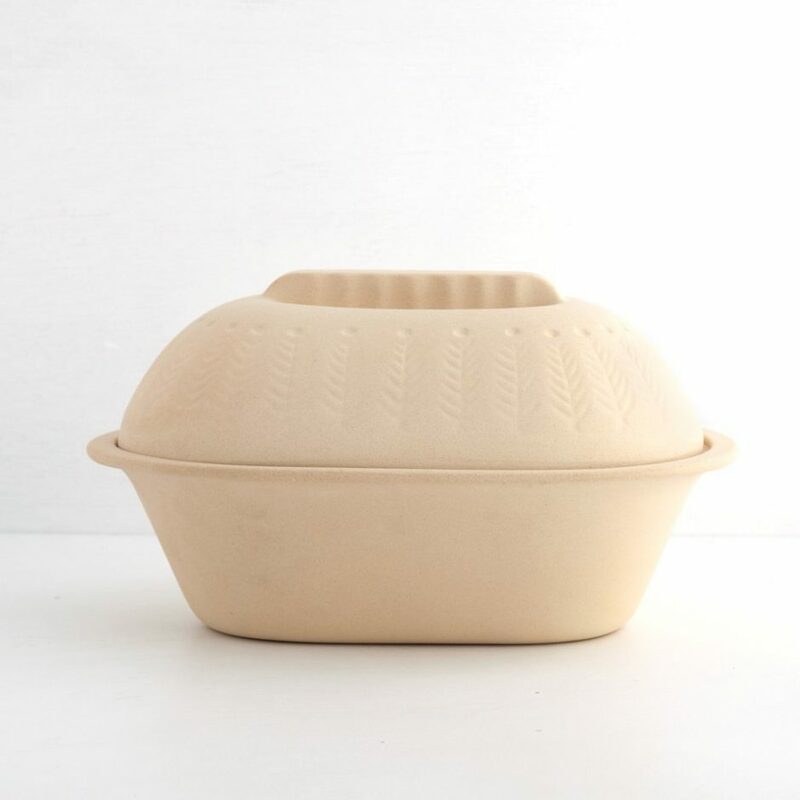 Dating back to Roman times, this traditional unglazed terra cotta roaster, known as a “four crétois,” is one of the oldest methods of cooking. 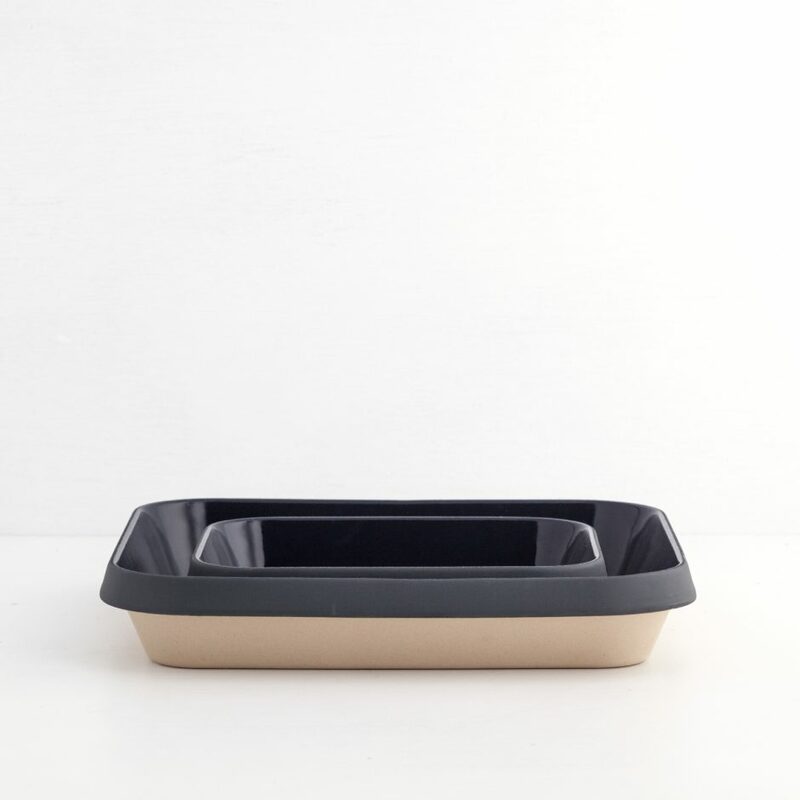 Ideal for baking bread, roasting chicken, preparing a stuffed breast of lamb or other tough cuts of meat, the high-domed lid allows air to circulate while keeping heat and steam in. Prior to each use, soak the roaster in water until thoroughly saturated. When heated in the oven, the clay will first release steam, which keeps the food moist, and then, when all the moisture has evaporated, act as a dry roaster. While unglazed roasters are easy to clean, sooner or later they will develop clogged pores. To remedy, simply combine ¼ cup distilled white vinegar with two quarts of water, pour into the pot, and let soak overnight. The next day, rinse well and use a natural brush to scour the insides of both the pot and the lid with baking soda and water if necessary. Drain and dry well before storing. 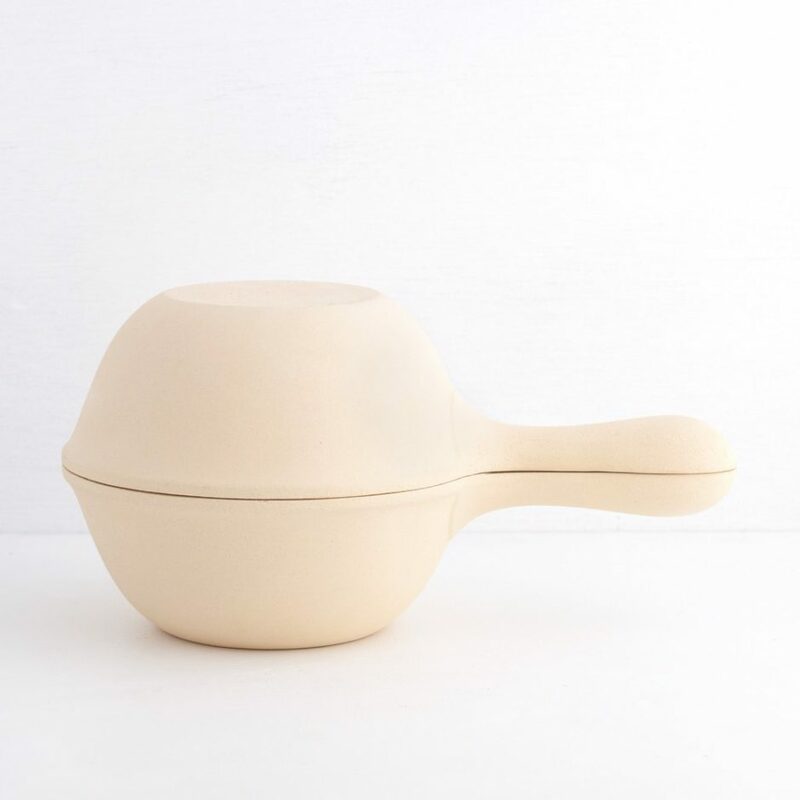 This French earthenware roaster, known as a “Diable Phenix,” works like a stove-top oven to perfectly roast potatoes, beets, chestnuts, coffee beans, and more without adding water, fat, or oil. To cook potatoes, place one or two layers of washed and thoroughly dried potatoes inside, add a few tablespoons sea salt, cover and cook over low heat for 15 minutes, or until the clay turns quite hot. Raise the heat to medium and cook the potatoes for another 45 minutes, shaking the pot occasionally to ensure uniform cooking. After cooking with the roasting pot, place on a wooden surface or folded kitchen towel to prevent cracking. Nothing cold should ever touch or be added to the hot pot. To clean, simply wipe out the interior with a dry towel. This entry was posted in Eat Good Food and tagged care instructions, digoin, Manufacture de Digoin, stoneware.